BELLEVUE, Wash., July 9, 2018—CHERRiSH, the only 100% premium USA whole cherry juice that combines the proven, powerful health benefits of Montmorency tart cherries with the sweet flavor of Bing cherries, today announced a multi-year collaboration with Life Time®, the nation’s only Healthy Way of Life brand, as the title sponsor of the Life Time Tri Minneapolis, presented by Just BARE Chicken. The CHERRiSH & Life Time Tri partnership kicks off at the Minneapolis Triathlon on July 14, where thousands of elite, amateur and beginner triathletes are expected to gather on the shores of Lake Nokomis for an action-packed tour through the lake and Mississippi River Valley. Participants will be able to visit the CHERRiSH booth for juice and smoothie samples at the pre-race expo. The drink, which mixes Montmorency tart cherries with sweet Bing cherries, has research-backed anti-inflammatory benefits and supports muscle recovery and improved sleep, while providing the highest antioxidant rating on the beverage market. In addition to its role as official sponsor of the Life Time Triathlon series and the race’s official cherry juice beverage, CHERRiSH will also be offered at LifeCafe, the “If It’s Here, It’s Healthy” fast-casual restaurant located within Life Time destinations across the U.S. and Canada. “We created CHERRiSH because we learned firsthand that Montmorency tart cherries could pack a punch when it comes to muscle recovery and overall health, but eating fresh cherries in bulk was hard to do, and the powders and tart cherry juices available on the market year-round weren’t convenient or tasty,” says CHERRiSH Founder Dan Haggart. “CHERRiSH is a 100-percent premium Montmorency tart and Bing cherry juice that people can drink regularly to get all the crucial health benefits Montmorency tart cherries have to offer. 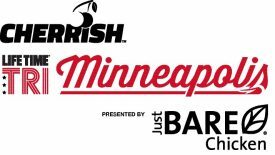 The CHERRiSH Minneapolis Triathlon features an International distance course, which consists of a 1.5-kilometer swim, a 40-kilometer bike, and a 10-kilometer run. The event also offers Sprint and Super Sprint courses of shorter, varying distances. For more information, visit Life Time Tri at www.mplstri.com. Founded in Bellevue, Wash, CHERRiSH harnesses the power of U.S.-grown Montmorency tart cherries to develop delicious and nutritious products. Its CHERRiSH cherry juice line is available in three delicious flavors: Cherry Original, Cherry Pomegranate and Cherry Blueberry and offers potent anti-inflammatory, muscle recovery and sleep benefits. It’s the only US-grown Montmorency and Bing cherry juice in the industry to feature the entire cherry, offering the highest level of antioxidants on the market. For more information, visit, www.CHERRiSH.net. Life Time champions a healthy and happy life for its members across 138 destinations in 38 major markets in the U.S. and Canada. As the nation’s only Healthy Way of Life brand, Life Time delivers an unmatched athletic resort experience and provides a comprehensive healthy living, healthy aging and healthy entertainment experience that goes well beyond fitness to encompass the entire spectrum of daily life for individuals, couples and families of all ages. More information is available at www.lifetime.life.